"I use it almost every day. A great tool for getting things done, but also a great tool for learning how to do things! This is one purchase this year I have no regrets about." Create your own VBA Code Library. Organize code into folders and access all code via keyboard shortcuts. Share custom code folders with co-workers. VBA Coding tools to improve the out of date Visual Basic Editor. Speed up your workflow with tools to navigate, debug, format and more. 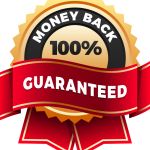 We have a 30-day, no-questions-asked, 100% money-back guarantee. If you’re unsatisfied for any reason, let us know and we will refund your order! Can I try AutoMacro before I buy? Yes! You can download AutoMacro here: https://www.automateexcel.com/automacro/download-walkthrough2. Most of the features are disabled until you enter a License Code, but you can verify that it works properly on your computer. If for some reason it doesn't install properly, let us know: support@toolfivesoftware.com. Can I install AutoMacro on my work computer? Yes! AutoMacro works in many corporate environments. It was designed to be as unobtrusive as possible and should install without the need for "admin privileges". Will AutoMacro work on my system? AutoMacro was designed to work on all Microsoft Windows systems (7,8,10, etc. and 32-bit or 64-bit). It will also work on all versions of Microsoft Office (2007, 2010, 2013, 2016), including 64-bit Microsoft Office. Try the download link above to make sure! Will my company pay for AutoMacro? Your company may have an allowance that will reimburse you for productivity tools like AutoMacro. This is the case for some of our users. Ask your boss, HR, or IT! Can I deduct this purchase on my taxes? See this page from the IRS on Employee Business Expenses. Can I use on more than one computer? The Beginner version entitles you to a single-use license code valid for 1 computer. The Professional version entitles you to a single-use license code valid for 2 computers for which you are the primary user. The Developer version is valid for 3 computers. Does AutoMacro work with PowerPoint, Word, or Access? Yes! AutoMacro functions in any program with the Visual Basic Editor. The code fragments are (currently) intended for Excel, but all features will work in any Visual Basic Editor environment. VBA Code Library: Easy access to 230+ ready-to-use code fragments and the ability to create your own code library. Create your own code library. Organize into folders. Share with colleagues. Toggle the most-used Excel / VBA settings. All code accessible via keyboard shortcuts. Simply look at underlined letters. Code for working with files and folders. Ifs, Case Selects, Loops, Fors, MessageBoxes, Text, Dates, Times, and ready-to-use functions. AutoMacro's Coding Tools and Utilities make coding in VBA easier. Use the tools to navigate, edit, format, and debug your code. Review all ranges used in VBA. Identify problems. List all procedures, code, and where used. VBA code generators build code from scratch with visual interfaces. Build code to loop through objects, performing actions when certain criteria are met. Create arrays, collections, and dictionaries from scratch and quickly manipulate them.. Create professional looking MessageBoxes and Inputboxes with an easy to use visual interface. Create VBA procedures with your desired settings. Great for Beginners who don't know what settings can be used in procedures! Generate procedures to loop through files in a folder, performing actions on files that meet certain criteria. Great for merging together multiple files. Quickly create a preview number formats in VBA.